Working with models can be an exciting part of photography, as each model can lend a different look and unique perspective to your vision. Casting a model appropriately for each project is an important part of a photographer’s job, as it speaks to their ability to manage their ideas and make them a reality. Just as a casting director will carefully select the best actors for appropriate roles, the same is true for casting the right model for the right photoshoot. Below we will review some guidelines for making the most out of working with models, in order to produce the best photographs possible. When examining a model’s portfolio, the first thing you want to look for is variety. This is in regards to the model’s expressions and ability to emote, as well as their ability to demonstrate a dynamic range of poses. Another aspect you are going to want to look for is that the model has worked with multiple photographers. I consider this a sort of unspoken reference that the model has experience working with different professionals in the industry, rather than one artist that they’re comfortable with. In those rare instances, the model may not be as comfortable with direction or your own vision if they have limited experience with only a couple photographers. A model that cancels last minute or that ‘flakes,’ is perhaps what keeps photographers up at night the most. Try to avoid this by looking for references, either clearly labeled or otherwise. A model with an extensive portfolio has worked with many different professionals, and is a good sign that they take what they do seriously. If a model is agency-represented, then that is also a sign that they consider their modeling to be a profession rather than a hobby, and are likely to be more reliable and committed. Keep in mind what the genre is that you’re planning to shoot. 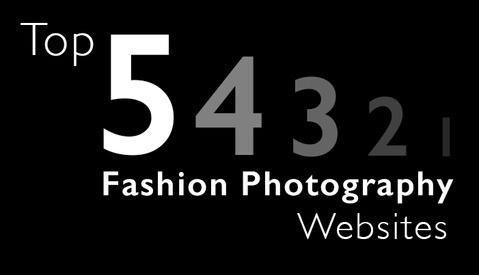 Are you casting for a high-fashion editorial, swimwear, lifestyle, or commercial images? While there are models who can easily adapt to any genre, usually they are positioned for particular genres, and that’s what you’re going to want. For example, if you’re casting for a beauty editorial, then a fitness model would not be the ideal choice, as their skin and movements may not be the delicate look you’re aiming for. Another example is if you are casting a more commercial model for a fine art project. You may discover that they weren't the best fit for it, and that you should have cast a model with a portfolio that was more in-line with the look and feel you were after. If you can cast a model who is inspired by the theme or style that you're shooting, the results will be at their best. It’s always easier to do what you enjoy, and being able to feed off of that energy is great for the production all around when those involved are enthusiastic. You may come across a model’s portfolio that hasn’t been updated in some time, perhaps even for over a year or more. If this is the case, request to see their most recent work, as they may rely on social media sites like Facebook or Instagram to display their newest work, and that doesn’t necessarily mean that they aren’t active in modeling. If the model does not have any work to show within a reasonable amount of time, then exercise caution. The model may not be accurately represented in their portfolio, which can adversely impact the shoot. Politely request to see a recent ‘digital,’ which is an agency-specific term to refer to a simple digital photograph without any editing or retouching. If the model is not associated with an agency, then request a recent photograph, perhaps under the guise of needing to know their current look and hairstyle for styling purposes. Freelance modeling website such as Model Mayhem allow the model to list their experience. This can range from no experience to being very experienced, and is often how a model reinforces their intention of exclusively doing paid assignments rather than collaborative work. While it is absolutely a model’s right to be paid for their talents, and many freelance models are well worth their rates, you want to ensure that their portfolio matches up with their level of experience. If the quality of the images and the variety is lacking, then you may be dealing with a much less experienced model. There are very few photographers who do not allow their models to display the final images for social media use, so there really are no excuses why a model’s portfolio should be bare if they are actively working. This is perhaps the trickiest aspect on this entire list, as many photographers have differing views on the matter. If a model lists that they are only doing paid assignments, there is no harm done by inquiring about collaborative work. However, do not be offended if the model comes back with their rates. It may be that the model didn’t find value in the offered project for their portfolio, but that should not be seen as an insult to you as the photographer. Just as you do not enjoy it when a potential client expects you to work without any pay because they do not have a budget, the same can be true for a model. If the resulting images will not improve their chances of getting paid work, then it should not be a surprise that they expect to be compensated for their time and talent. Consider the project, and how vital that model would be to the success of it. If they have the best look and experience of those that you were considering, then the investment in paying their rates may be worthwhile. Be sure to also consider that a model’s rates are likely to vary between editorial and commercial work, so do not mislead them in order to get better rates. If the project is for commercial purposes and are destined for commercial use by your client, then the model should be compensated appropriately. You may encounter a few red flags when working with models that should be avoided whenever possible. If a model requests to have all of the images, then it’s a sign that the model is inexperienced and may not have a grasp on the industry. Quality over quantity is always key, and a professional will understand that. If a model has agreed to collaborate with you in exchange for images, but suddenly asks for compensation, then it’s time to go. Compensation should be clearly defined early on in communication, because no one will be happy if that discussion is handled close to the shoot date. Make sure that you and the model are on the same page when it comes to what the terms are. While discussing the topic of money can be challenging for some, it absolutely needs to be covered. Miscommunication on this point can put the entire shoot at risk, and is a topic that can not be tip-toed around. When reaching out to a model that you wish to cast for your shoot, keep in mind that first impressions are vital. If this is your first communication with the model, then respect their time and provide them with as many details as possible. Let them know the theme of the shoot, potential dates, team members, provide a moodboard, and any other relevant information. Providing a model with this early on will greatly increase your chances of a positive response, as it demonstrates that you're serious about the project. It also allows the model to check their availability, and avoid a time consuming back-and-forth. While collaborating with a model for ideas can also be enjoyable, it's best to give them a foundation to work with. What are some of your own best practices for casting the right model for your own shoots? Please do feel free to share your own ideas and experiences below. Do you have any tips for casting stylists or makeup artists? I feel like their portfolios are all more or less the same and always have a hard time choosing so I go with the friendliest of the bunch and hope i chose right. Also what does one call these people who make custom props for a shoot and work on styling but beyond a clothing capacity? In my country they call them stylists too but when you are looking for one its confusing because you don't know if they are the extended version so perhaps knowing the english term would help? You're very right about there being a marked difference in the portfolios between makeup artists / stylists and models. 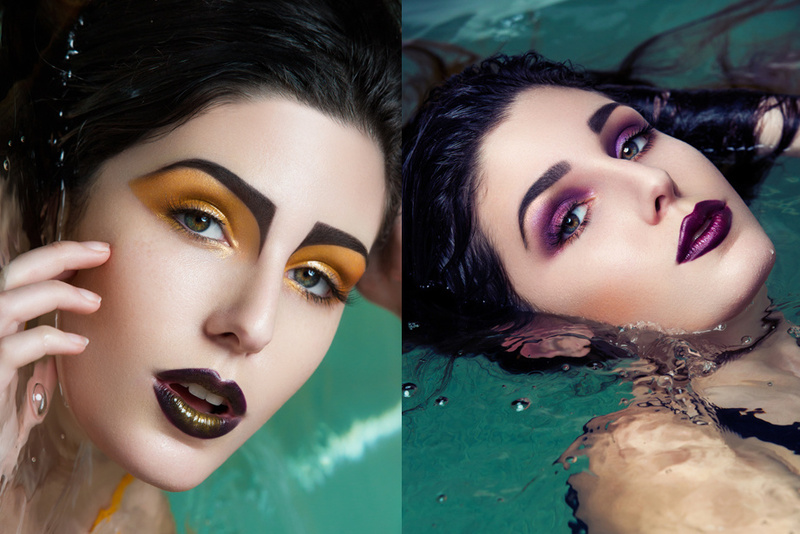 When looking at a makeup artist's portfolio, I pay attention to the sort of style that they have, as well as the photographers they work with. I've worked with a few MUAs who worked with the same photographer, and found that their retouching was what I liked, not necessarily how the makeup was done. I'll also pay attention to the sort of looks they seem to favor, from smokey-eyes to heavy contouring, colors, etc. I'll usually bookmark the MUAs I want to work with, and will cast according to the style of makeup I'm planning for the shoot. Stylists are a whole other matter, because their portfolios are entirely dependent on the photographers who work with them and how they capture the wardrobe. I've worked with some stylists who had amazing ports but were very disappointing on-set. From having a vision that really missed the mark of my own, to not actually styling on set and just putting the clothes out. I find that for stylists, you really need to test with them, as I find their work ethic and their connections with designers and boutiques are the two most important factors. As for those who deal with props, we usually refer to them as prop stylists, or set designers. Very hard to find! I've only discovered some through agencies and production houses, as they're definitely rare. First impressions: I used to include all this info which made some models happy but others never responded for whatever reasons I'm not sure of, but you'd think if I gave all the information it wouldn't overwhelm some people too? I've been trying to do more intro messages via MM telling them I'd like to work with them on a project and if they liked my portfolio we can talk further. It's a new technique I'm trying to see if it works or not, not sure yet, only got 1 response from an NYC model asking for more info as of yet from about 4 messages to NYC models. The key to providing a lot of information is to do so succinctly. I typically have a brief introduction, followed by a list-style way of presenting the theme, dates, team, magazines (if any), looks, moodboard, etc. I try to be very concise in my descriptions, so that it doesn't appear as a wall of text to the model. I think in your market, where there are so many photographers, that a more direct approach is all the more important, as said models probably receive dozens of messages from other photographers. I've found that presenting them with a unique concept and appearing very professional has helped my ability to network with models in my local fashion hub. I have received feedback from models that they appreciated having all of the information right away, because they didn't have to feel like they wasted their time going back and forth with the photographer, or felt like they were the ones who had to come up with ideas. I learned that while I liked collaborating with models on ideas, that I had to be the one to present my vision in order to cast better talent. As always, very appreciative of your comment! I think this is great advice...thanks for posting. Thank you, Jason! I'm glad it was helpful. Compensation, I'm not sure if its commercial or editorial, how about universal stock/portfolio/self-advertising my business or would that be considered commercial? That one is tough. I usually reach out to models after I've worked with them and ask if they mind me using some of the images for my promotional purposes. So far I haven't run into any issues, as I technically do own the images and have gotten a model release. I more-so ask out of courtesy. As for stock images, though, I'm afraid I have never ventured there, so I'm not sure how to properly handle that. But all of my releases say that I will be using them for my promotional purposes in social media / print as needed. its really amazing with lots of hard work.